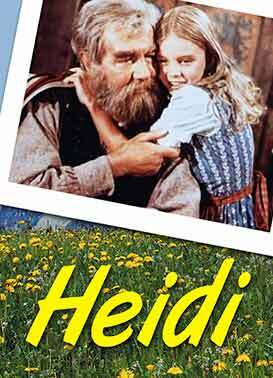 Heidi, a young orphan girl, is sent to live with her grandfather in the beautiful Swiss Alps. She's later sent to Frankfurt to be a companion to Clara, a handicapped girl who cannot walk. Heidi gives her strength, and with the help of her friend, Clara overcomes her greatest fears.